A few weeks ago I had the absolute pleasure of being contacted by Chitra Chandhok, wife of FMSCI President Vicky Chandhok and mother to F1 driver Karun and Ardenna Communications director Suhail. Not a bad set of jobs to have in a family, right?! After commenting on this blog and blowing my mind in doing so, Chitra later got in contact and volunteered to contribute a guest post to GWT, an opportunity I jumped at obviously. 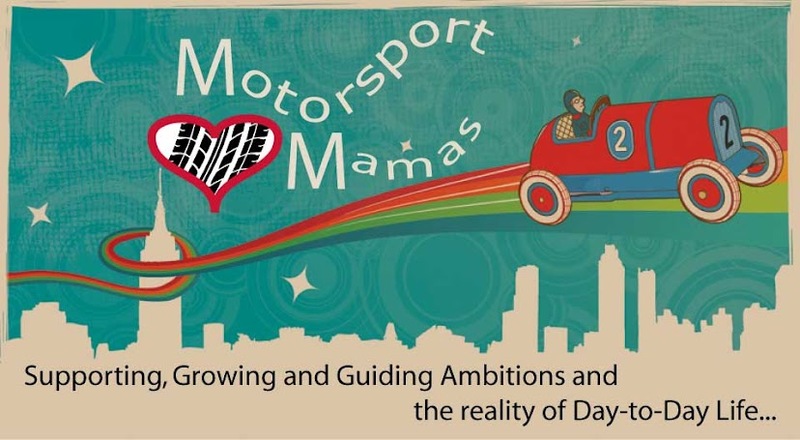 So here for you pleasure if the lovely Chitra Chandhok giving you an insight into just what the life of a mother’s who’s son and family are deep in the world of Motorsport is like. It’s a fabulous read, and very very funny, and I can only offer my eternal thank you to Chitra for providing this guest post as it provides some wonderful insight into the life of the Chandhok family over the past few decades. The original article was published as part of the Madras Motor Sports club 50 year Jubilee Celebration. What happens when a studious MBA graduate working in a conservative American Bank, marries into a family of race and rally drivers? Hilarious mind-boggling, life changing experiences of course! The combination of TAM-BRAM Chitra with PUNJABI-JAT Vicky created cultural waves. It was 1982 when Vicky proposed to Chitra. They went out for quiet romantic dinners in madras and waiters, teenagers and pretty girls all came to Vicky for his autograph. Vicky knew everyone! Chitra knew nobody! Chitra wanted to quietly fly back to USA, cancel the wedding and go back to her anonymous life. August 15th 1982, Vicky and Chitra gave up their independence on Independence Day and got married. The previous night the entire MMSC (Madras Motor Sports Club) family had a wild bachelor party with Vicky until 4am. At 4am, Chitra woke up and after a quiet Pooja waited eagerly for Vicky to arrive. An inebriated bridegroom’s party with a severely hungover groom arrived and it seemed the entire MMSC was there to witness this wedding. Ravi Mammem of MRF (Madras Rubber Factory), V. Chidambaram, K.V. Srinivasan and Muthukrishnan, The Patels, Madhavans, Prabhakars, Bhatias, Pramod Chandhok – the list was endless. Chitra realised a great truth – she was not marrying just Vicky – she was married to the MMSC for life. The only comment from most of the guests – “Poor Vicky, he is missing the Karnataka Rally and his anniversary will be during the K 1000 Rally every year! !” A few kind souls said “don’t worry, you’ll get used to it.” Get used to what? Chitra was thinking. Very soon Vicky has prepared a schedule for the next 10 years of their married life. The honeymoon was spent purchasing motor parts and an F2 Car in Scotland. The first child had to be conceived between 2 rallies in 83 and delivered just before the All India Race meet in 1984. All future birthdays, anniversaries, operations, illnesses must be timed to perfection, preferably on a calendar of motor sports events. The second child had to be born between the Monsoons in November and the New year of 1988. Chitra using her MBA training prepared a project report and future forecast for Chandhok Family Inc. Vicky and Chitra met all the deadlines and Karun was born in January 84 and Suhail in December 87 exactly when Vicky had circled the dates on the calendar (at 5:56am and 11:05am respectively in Rally Time). Well, next Chitra turned to Vicky’s sister Archana for some support. All in vain! Archana, who had idolised the Maharaj Kumar of Gondol as a child was determined to be a race and rally driver herself. From her teens till today she continues winning rallies and races. In fact in Motor Racing circles she is known as Vicky without a beard! Vicky and Chitra’s son Karun was born with the blessings of all the Motor Sports Gods in Heaven. His first word was “Car, Car”, much to the disappointment of Chitra who has been training him to say “mama, mama!” for weeks. “Car, Car!” said baby Karun and Indu, Indra, Vicky, Vibu and Archana clapped with glee. The smell of petrol and the sounds of Formula cars made baby Karun smile happily. His baby ayah was trained to recognise Senna, Prost, Mansell, McLaren and Williams. If the ayah did not watch Grand Prix videos with Karun 200 times a day, she was considered incompetent and a new baby ayah who was more motorsport friendly was immediately recruited. Karun’s diapers and feeds were timed with a stopwatch. When Vicky travelled on races and rallies, Karun, Chitra, the ayah and a van full of baby things followed. Race ear plugs were put into Karun’s ears as he stood next to the Formula Cars with Kari uncle and his father. Karivardhan uncle taught him the sounds of gears being changed at each corner of the track and Sathi uncle and the mechanics made sure Karun played with every single part. Chitra was thinking, she was trapped in another planet. “Oh god”, she prayed, “I hope my next child is not blessed by the Gods of Motor Sports!” Then came along Suhail with his own destiny – he had been blessed by the Gods of cricket. Everything in the house became a bat and a ball and of course his first words were “ball, ball!”. The cook, watchman, and household staff were never available as they were all part of Suhail’s cricket team. If a staff member could not play cricket they would not be employed. Next, Vicky began training his family. Everything was timed with a stopwatch, the meals, the hours of sleep, the time in toilet! When he came home from work his staff were trained to bring chilled bottles of Kingfisher “diesel” at 18:52 exactly. The beds were shaped like cars and tables made with wheels and the food had to be served on steering wheels. Meanwhile Chitra after tripping over tyres, steering wheels and cricket bats would run for cover into her Pooja room. Maybe the chanting of mantras would drown out the sound of the F1 cars. Occasionally she peeped out of the Pooja room to check if the diesel was flowing and the children had made their pit stops. “What about the children’s education?” said Chitra rather timidly one day. “No problem darling”, said Vicky. He educated the boys to sit patiently for millions of kilometeres in a car, to hold onto their bladders until the exact time of the pit stop and to never check the speedometer. Every TV show, newspaper and magazine article on motorsports and cricket were studied and Vicky swore the boys passed their exams with flying colours. “What is 2 + 2, Suhail?” asked Chitra. “No problem, ma. 2 runs and 2 wides make four runs for India” answered Suhail confidently. “Karun have you finishehttp://www.blogger.com/post-edit.g?blogID=6880048826459747195&postID=433424441872170853d your homework in Maths?” asked Chitra. “No problem ma, I made out the navigation chart with time, speed and distance for the South India Rally this morning” said Karun. “Amazing!” thought Chitra, “these boys know much more than I do” and she relaxed and left their education in the hands of the Gods of Racing and Cricket.